블루 마운틴, 호주의 넘버 14 | 호스텔월드에서 예약하세요. 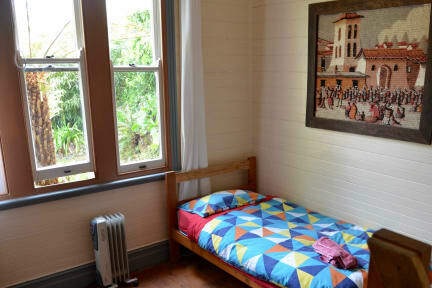 The house was built in the circa 1913 and operated as one of the earliest guesthouses in Katoomba, and retains many original features. It has been lovingly restored over the years and improved with ducted central heating, new kitchen and bathrooms and WiFi. 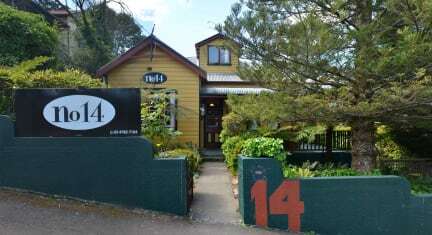 14 Lovel St is a warm friendly place to come home to after a day exploring rugged cliffs, rainforests or waterfalls or a day spent sampling the great food, cafes and art galleries available in Katoomba. Come home to 14 Lovel St and jump in a hot shower to relax those tired muscles or chill out on the beautiful verandah. We are NOT a party house. If you want to stay up late into the night, then this is not the hostel for you. Noise carries and we expect all guests to respect the peace and quiet for other guests. There are no TVs or radios on purpose. Streaming your own content on speaker is not allowed. Please use ear/headphones. We have 3 queen rooms, 4 double rooms, 1 king single twin and 2x5 bed dorms. Your room price includes breakfast (cereal/ tea/coffee) and free WiFi all day.